Today's birthday poem is dedicated to a good ol' friend of mine. It was a chanced meet after an epic joint LEO event back in 2005. Back then he was able to tickle my funny bone and entertain me for hours. After 11 years, he hasn't lost his charm and still has magic in his smile. Happy Birthday Calvin! 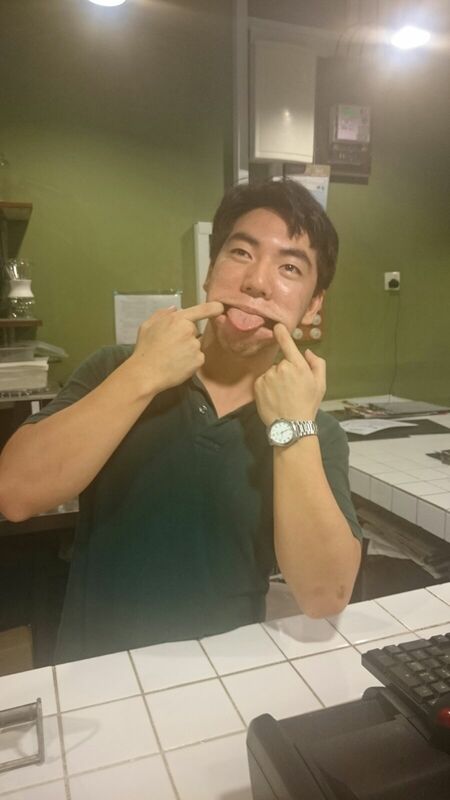 Drop by ANTE in One Utama, have a drink, get some grub and wish this awesome dude a happy birthday! Yes! He is unlike any other guy. He is everyone's favourite company. He has the ability to stir up laughter throughout the hall. He is well equipped to go forth to fulfil his destiny.